I even thought about going to a spa that I have a gift certificate for, but I looked at it and it expired like four years ago. I got all fired up, thinking, Didn’t they pass a law against gift cards expiring?! Turns out they did, but it was a couple months after this card was issued. That is some bulls— right there. So the wedding, which was a big part of my busyness, is over. I have regrets, like forgetting to have the makeup artist cover up my tan line. Not getting my kids in bed early enough the night before, leading to my daughter having a mega tantrum when it was time for her to get ready. This in turn messed up getting the boys ready, so that one ended up with no tie… These little things bug me. But I can’t complain because otherwise it all went fantastic. My sister tempted fate and won, by letting the outdoor wedding ceremony go on as planned (it started raining during the cocktail hour, but we were all safely indoors). My speech was very well received. The food was great, the music was old school, and we danced the night away. I did a couple shots and was in bed with the spins by 2 am. Luckily the Jersey Devil didn’t come upon me as I was making my lonely way back across Route 9 from the after party. Now all I want to do is get back on track with spending and exercise and writing and my thrifty skills. About a week or two ago, our dryer broke. I spent every nice day doing wash and drying it on the line. We are getting a new one tomorrow, but it was fun, in a way, to accept the challenge of not having one. If it wasn’t so close to winter I would have put that expense off longer. Prior to the wedding, I attempted to cut my sons’ hair, thinking that my husband could take them to get it fixed the morning of the wedding if I messed it up. Well, I did, but he didn’t, so they are looking quite interesting. Naturally, my contrary older son claims that he loves it now the way it is and that he doesn’t want it fixed. The younger one just freaks anymore when I come at him with the clippers, which is a shame, because his hair is easy to cut. I must have nicked him once and now he is terrified. Have to figure out what to do about all that (but not today!). 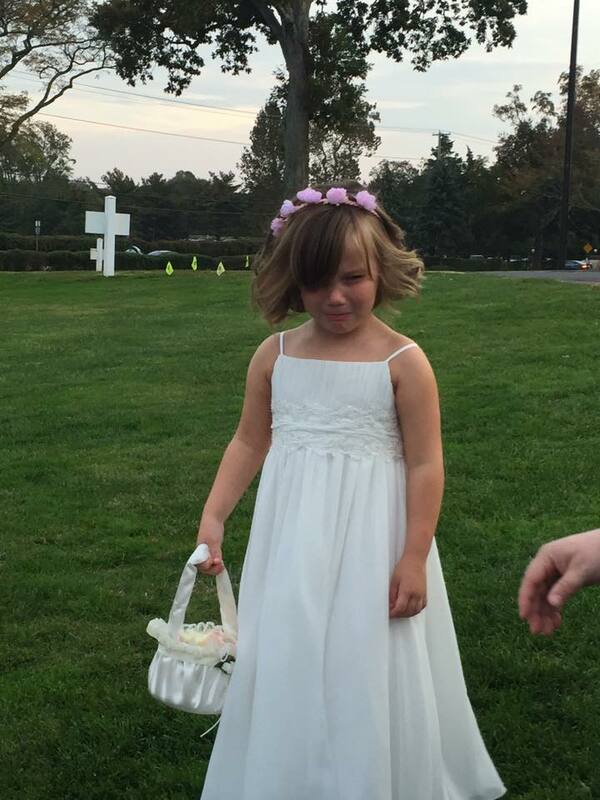 The other day I sold an old kids’ dresser for $8 on the online yard sale, so that has me inspired to list more things (including, perhaps, my daughter’s flower girl dress, shoes, etc. Too soon?) I transferred $8 right over to my “yard sale” savings account on Capital One 360. I have more clothes to bring to the Nesting House. That is something I would do today. The thing I’m probably most excited about is that I figured out how to get library books on my Kindle! I have all these samples on the Kindle of books that I really want to read but that I didn’t want to pay for. And I haven’t made it over to the real library. So I was able to get “Wild” by Cheryl Strayed, which I’ve been meaning to read forever. It is really good. I will definitely be reading more of it today. The app I used is Overdrive. The last time I tried to do it, it didn’t work, but success this time. We continue to do well with not eating out. We had a full-on feast of leftovers on Monday night, like some really random stuff. One thing I need to do (but not today!) is get on the whole refinancing our house thing. I was waiting to hear back from my husband on something related to it. In September, as in August, I was way over budget. Some of it was wedding- or school-related and couldn’t be helped. But categories like groceries and eating out were way higher than normal too. So I’m trying to regain control in October. As Chris Pratt says to the uptight chick in Jurassic World, “It’s all about control with you, isn’t it?” Why yes, yes it is. In Wild, the author explains how she picked “Strayed” as her new last name after she got divorced. She just wanted a completely new name, and “strayed” described how she felt: wild, off-track, a literal stray because her parents were gone. Kind of cool. When I thought about what I would change mine to, the first thing that popped in my head was “Gina Serene.” Better than “Gina Controlfreak.” What would you change your last name to?